Argan oil is is designed to be used to add moisture and health to dry or damaged hair. Argan Oil is great. I've tried so many different kinds and I'm literally obsessed. 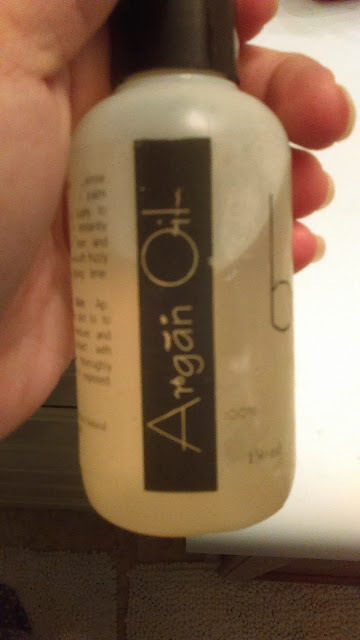 I use Argan Oil at least twice a day, after I shower. This one comes in a nice little bottle that isn't glass, so it won't break. This is perfect, especially if you are taking it with you when you travel. You can simply slip the small plastic bottle in your bag to take with. The oil is nice and not watered down like some other brands. It's great quality Argan Oil. There's no heavy scent and it's not too thick. It's perfect for using on your hair to keep it nice and moisturized. Also great on dry skin and nails. I'm very happy with this product. This product is available for purchase on Amazon.